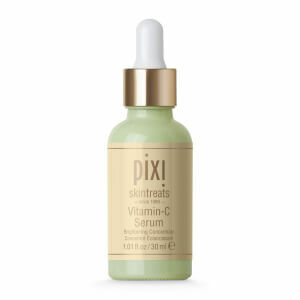 Part of the cult glow tonic skincare range, the Glow Tonic Cleansing Gel by PIXI helps to refine and brighten the skin for an energised complexion. The hydrating Moisclean™ cleanser contains Glycolic Acid to gently resurface the skin, helping to smooth uneven texture and reduce the appearance of discolouration. 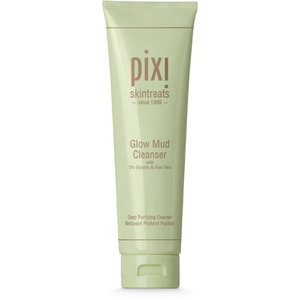 Horse Chestnut extract, Aloe and Ginseng work to sooth and moisturise. Aqua/Water/Eau, Methyl Gluceth-10, Ethoxydiglycol, Dipropylene Glycol, Butoxydiglycol, Glycereth-26, Diglycerin, Glycerin, Aloe Barbadensis Leaf Extract, Vitis Vinifera (Grape) Fruit Extract, Actinidia Chinensis (Kiwi) Fruit Extract, Pyrus Malus (Apple) Fruit Extract, Citrus Aurantium Dulcis (Orange) Fruit Extract, Citrus Limon (Lemon) Fruit Extract, Citrus Paradisi (Grapefruit) Fruit Extract, Glycolic Acid, Aesculus Hippocastanum (Horse Chestnut) Extract, Panax Ginseng Root Extract, Hamamelis Virginiana (Witch Hazel) Extract, Ananas Sativus (Pineapple) Fruit Extract, Nelumbo Nucifera Flower Water, Lactobacillus Ferment, Diethoxydiglycol, Carbomer, Tromethamine, Phenoxyethanol, Polysorbate 80, Parfum/Fragrance, Ethylhexylglycerin, Butylene Glycol, Disodium EDTA, Allantoin, Panthenol, Betaine.